The brand story originates in the United States, and really is centred strongly around the idea of family & home, after founder Charlie Lubin decided to name his new line of Cheesecakes after his own beloved daughter, Sara Lee. 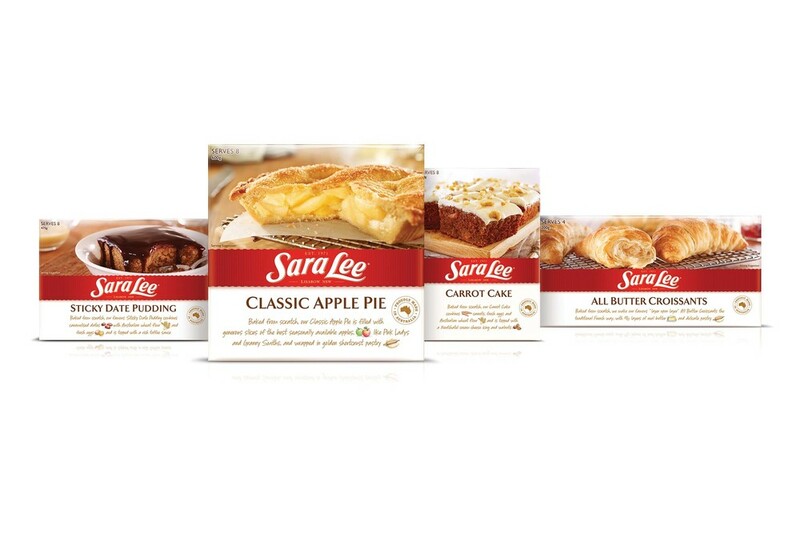 Today, Sara Lee is felt to be one of Australia’s own and most loved brands, living in the secure and pleasurable zone of our consciousness, as it is still centred around the idea of family. In so many ways, it is one of those brands ever-present in our childhood, and therefore is embedded into our earliest of memories. This idea of innocence anchored in the home, is the hook by which we sought to tell the brands ‘real’ story. This project was driven by a desire to increase the consistency of the brand footprint at shelf, and to hero the brands real reason to believe, which was simply ‘real food made from real ingredients’. The brand today still sources all of its raw produce in and around the state of New South Wales. The brand device itself gets reinvented as a humble cake ribbon that wraps itself around the entirety of any format. The result presents itself, as something of high quality through a simple design architecture. Each pack within the range is given the space to almost story-tell its ‘real ingredient’ origins, told through watercolour illustrations that wouldn’t be out of place in a children book. Beyond driving perceptions of quality, and sheer brand blocking in the freezer, the new design gives the brand the additional value needed (in the face on continual supermarket discounting) by concentrating on product integrity, in a way that correlates strongly with the formative memories of family and home, and what a sweet memory that is.